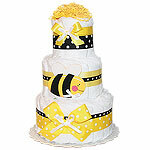 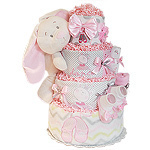 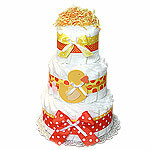 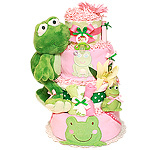 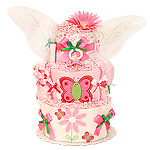 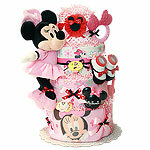 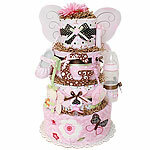 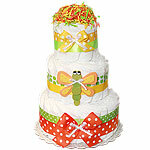 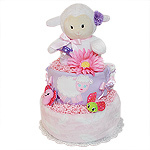 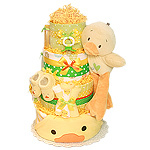 Cute and most original diaper cakes carefully designed for baby showers for girls. 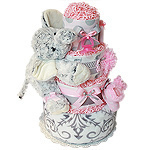 These girl diaper cakes make great unique baby shower gifts or centerpieces. 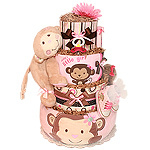 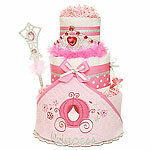 Every girl diaper cake is made for very special little baby princess. 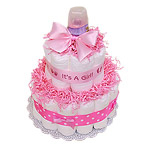 If diaper cakes for girls is not what you're looking for, you should visit our boy diaper cakes collection or gender neutral diaper cakes.